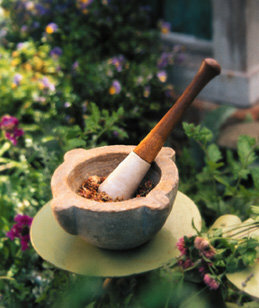 Global Botanicals - Welcome to Your Wellness Clinic for Natural Health, Healing, and Herbs. Welcome to Your Wellness Clinic for Natural Health, Healing, and Herbs. Global Botanicals specializes in bringing ancient health care systems to modern times. Global Botanicals utilizes the two oldest medical systems in the world, Ayurveda and Chinese Medicine, as well as holistic nutrition (food as medicine) to help assist the bodies own natural healing process. Most importantly, We at Global Botanicals don't believe that anything is wrong with who you are as a person. Symptoms are a manifestation, and not the Truth of Who you ARE as a Being of Light. We sometimes use herbs and nutrition to help remind your body of that Truth. Other times, a good "ear" that listens is all that might be needed. "Candice I promise you with absolute and unwavering certainty, you would be the first person I would call if I got sick! You're a doll and you helped me so much." Matt A. "Thanks so much for coming over yesterday. He is doing a lot better. You are a miracle worker! He did not go back to school today however, as I felt another day at home with all the remedies was needed as he still seems to be fighting the virus. Thanks again"
"Send us another bottle of Clean Air [Herbal Remedy]! The 4 of us take it pretty regularly as we exhibit cold symptoms - it's nearly gone, but we've stayed healthy while every one around us keeps getting sick." "I am feeling better, and people keep coming up and telling me that I look better…"
"Candice is an amazing herbalist. I had some surgery done where my bladder was lifted, tubes tided and ablation. Candice put me on an herbal supplement and some after surgery medication. I was suppose to need a two week recovery. Not only did I not need the medication prescribed by the hospital, I recovered in a week." "I'd really like to thank her for her help. I loved how kind and caring she was. her answers were creative and helpful. An all around great person." "...unbelievable! She is very knowledgeable, thorough, and extremely clear and articulated. I am stunned by her sense of caring and knowledge. I consider myself very lucky to get an answer from an expert like her." "I highly recommend Candice Davis. Before treatment, I was very anxious and slightly depressed. She took the time to fully investigate the cause of my discomfort. In follow up appointments she adjusted my remedies to better treat my symptoms. It was the first time in a long time I felt better. Thanks Candice!"